In his memory, IAHS organized a round table for Vit Klemeš in Tunis on 2 October 2012. Personal tributes to Vit Klemeš are given below with a list/links to some of his papers. I recall that Vit was chair at my first international conference presentation at the Vancouver IUGG. His reputation scared me to pieces but he made me feel very welcome as a newcomer to the conference game. A good many academics I'm sure made use of his more provocative papers to stimulate class discussions on what hydrology was all about. I know I did. Tribute to Vit Klemeš: This news comes as a shock to me, including the fact we only get to know this now more than a month after Vit's passing. The only consolation is that I had I visited Vit Klemeš at his home in Victoria Island last summer, and spent a few hours with him and his family (wife and son). They were extremely hospitable, and we had a wonderful conversation over wine and lunch. Vit himself picked me up from the ferry station, and since he was too tired in the afternoon, his son dropped me off at the ferry station. Vit did indicate to me that he has had treatment for prostate cancer, but that he was in remission (so I thought, and hence the shock in hearing that he passed away so soon after). Through his writings, Vit has been a long-time hero of mine. I started an e-mail contact with him a few years ago, sought him for advice on some papers (especially the work I did on the downward approach to modeling, motivated by his 1983 Journal of Hydrology paper). I finally met him at the IAHS Congress in Perugia. His papers are a pleasure to read - especially papers of a philosophical kind: he had a knack for communicating unpalatable truths in a style that is sharp and direct, and yet does not raise rancor. Many people continued to do the kinds of things he deplored, even while quoting him along the way. 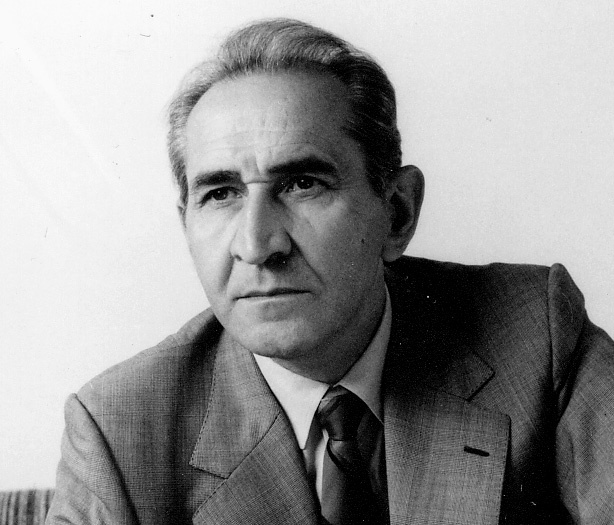 Vit Klemeš will be remembered for a long time through his writings, which will remain his timeless legacy. Rest in Peace. I wish to express my sincere sadness for the loss of Prof. Vit Klemeš. I had the opportunity to meet Vit only once, in Perugia in 2007, and I was deeply impressed by his personality. I learned a lot from his great papers. His contributions on the Hurst effect are masterpieces and I particularly liked his writing style. It was a honour for me to meet him in Perugia, where I could recognise his style and his attitude. He was a great scientist and I am sure his contributions will guide young hydrologists for tens of years to come. Rest in peace. Vit Klemeš had told that he had decided not to interfere with the hydrology of the 21st century. On special request, he would agree to leave his silence and provide some advices. Last year, he answered some questions we had asked concerning the use of the series of model evaluation tests he had recommended. He was sceptical about the capacity of hydrologists to test rigorously their models, considering that the tests he had suggested "will be avoided under whatever excuses available because modellers, especially those who want to ’market’ their products, know only too well that they would not pass it. […] I had no illusions in this regard when I wrote my paper, but the logic of modelling led me to develop the 'testing principle' to its, let’s say, 'theoretical limit'." We miss him already. Let earth be light to him. - Back in the 1970s, I was supervising a very earnest PhD student in Australia who was developing a new approach to optimising reservoir operation under uncertainly. I suggested that he seek Vit's advice. He was devastated when Vit referred him to a series of papers, published in Russian in the USSR but unknown in the "West", that had provided a theoretical solution to the problem many years previously. The student obtained the papers with much difficulty and had them translated. He then went back to Vit to explain that the solution did not work for the case he had defined and Vit entered into extensive correspondence with him which inspired him to re-start his work and complete an excellent thesis. - I still consider that the talk given by Vit at the General Assembly of IAHS in Perugia in July 2007 was one of his best - simple, witty and yet profound in its challenge to the practicing engineer and scientist. I suggest that it be linked from the announcement of his passing that you have put on the home page of our web site. - Vit did me the honour of giving me a copy of his book "An Imperfect Fit" and this led to a long exchange of messages that finished only three weeks before his death when it was clear that he was seriously ill. Even then he was as incisive as ever, protesting publicly at what he saw as injustices in actions taken by government authorities, telling more tales of stacking wood at his country cottage with a warning against allowing pure mathematicians to assist in the task, and extolling the virtues of serving a Moravian white with Pacific wild salmon - "I prepare them in what I call 'Moravian style'". I knew Vit Klemeš very well when employed by the Inland Waters Directorate of Environment Canada during the 1970s and ‘80s. In fact we both joined the Department in 1972 – but Vit joined as a much more senior scientist than I. Like other junior scientists I watched in awe as Vit produced the papers that had so much influence within Canada and internationally. In 1988 I had the particular pleasure of travelling with Vit to a conference in the Tatra Mountains of his home country; this proved to be diplomatically challenging as Vit had to be given a special visa to allow him entry without prosecution! Vit will be remembered not only as an eminent hydrologist but also as a modest and very caring human being. He will be sorely missed. I was saddened to hear the news about Vit Klemeš'decease. Please, accept my sympathy to his relatives and colleagues. In sympathy. I wish to say a few words about Vit Klemeš as an admirer of his who had the good fortune to meet him in person and the honour to exchange ideas and thoughts with him in the last few years. My relationship with Vit started in 2003 with his caustic letter complaining about my misquotation of his “Hurst” paper. His paper was attached to the letter with some annotations, including a dedication “to Dr. Koutsoyiannis without compliments”. So, the first thing I remember about Vit is his frank, unfeigned, clear-cut -- and thus friendly -- writing, also suggestive of the importance of scientific disagreement and discussion. Vit’s sweet personality, noble soul and kind manner on the one hand, and his profound scientific knowledge and powerful reasoning on the other, made disagreeing with him a fascinating and entertaining experience, a lesson in the importance of understanding the other’s position, and a demonstration of the power and usefulness of dialogue in scientific affairs. Vit’s involvement in science went far beyond hydrology. He had an informed opinion about broad scientific and philosophical issues. He even wrote an essay about the Special Relativity theory, entitled “Asymmetric Aging or Asymmetric Reasoning?”, as well as a note on the formation and historical evolution of cart tracks. In addition to being a scientist and engineer, Vit was a conscious and active citizen of the world, having strong positions on all contemporary political, economic and even religious affairs and problems. His recent book, entitled “An Imperfect Fit: Advanced Democracy and Human Nature”, is one of the testimonies of his activity of this type. Vit Klemeš was, thus, an unusual and unorthodox personality resembling more an ancient philosopher than a specialized modern scientist. Some of his works were recently published collectively in a book with the manifest title “Common Sense and Other Heresies”. We hydrologists will certainly remember him as we keep reading his monumental papers. I wish that we also try to follow his approach to use common sense, to dare be heretic, and to mimic his caustic and humourist attitude. Advanced Modeling Concepts for Environmental Sciences, University of California, Davis (CA), April 1995. Geophysical Time Series Workshop, National Hydrology Research Centre, Environment Canada, Saskatoon, Saskatchewan, Canada, October 1988. (Distinguished Speakers Luncheon Lecture), 20th Anniversary and Annual Meeting of the American Institute of Hydrology "Hydrologic Science: Challenges for the 21th Century", Bloomington, Minnesota, 2001. Association Lecture presented in the first plenary of the IAHS General Assembly in Perugia, 9 July 2007. (A talk given on July 12, 2007, in the HW2003 Workshop on Analysis of Variability in Hydrological Data Series, at the IAHS General Assembly in Perugia, Italy). 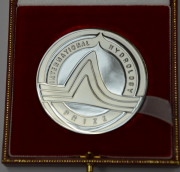 International Interdisciplinary Conference on Predictions for Hydrology, Ecology, and Water Resources Management, Prague, 2008.